This is the last week to get your registrations in! The Most Valuable Conference You Can Attend This Year! "Nothing is more expensive than a missed opportunity." - H. Jackson Brown, Jr. The Annual Rockcliffe University Consortium Conference takes traditional conferencing methods and converts them into experiential ones. Attendees can expect a dynamic mixture of sessions, excursions, and critical discussion, all around the topic of innovative technology and its application to education, and how the two can impact our students’ preparedness for the digital world and a continually disrupted job market. You can multiply the value of a conference, not only by the amount of sessions it provides, but the amount of opportunities it gives you to actively engage in the learning. This value is far higher than the money that is spent, and certainly much more enduring. 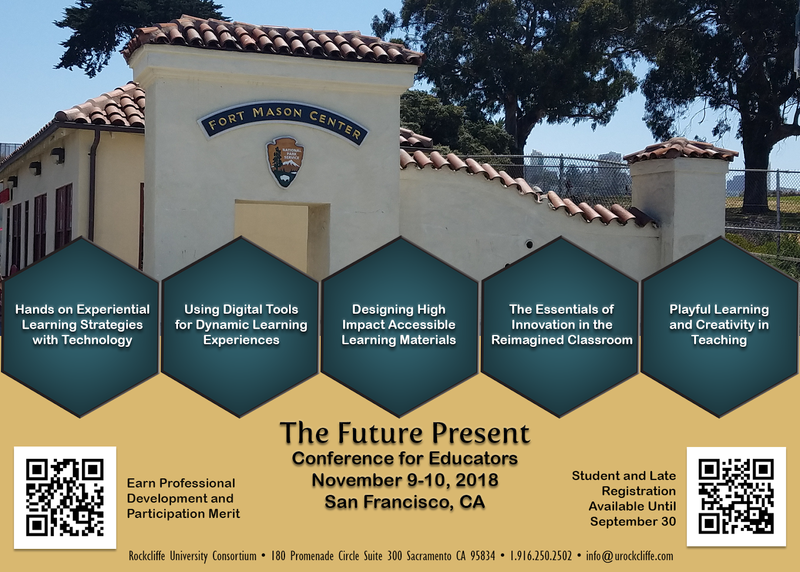 Join us in San Francisco this November, we would love to be able to put a face with the name, share a drink, and help celebrate a new way forward in education.